Last Quarter Moon in Taurus on August 4 focuses the general course of our moods on creating some sense of order in our financial situations, and encourages the need for creature comforts and esthetically pleasing or luxurious surroundings. There is often a focus on clean up and/or selling various useful artifacts that have collected in our lives. Therefore, the Last Quarter Taurus Moon inspires the activities of yard sales, auctions and flea markets. This is a good time to transform one’s atmosphere into a more useful and practical working order. Letting go of attachment to material things that have bogged one down with too much maintenance or disruptive costs may very well be the best move. Certain kinds of sacrifice produce some very remedial freedom. Aries: It’s back to the world of finance and money this week. Funds, joint finances, debts, even loans for the future will keep you more than busy whereas you will feel an urge for seclusion, renouncing the world, taking up meditation, worship, tantra, mantra or prayer. Maybe your task is to rebel against your to-do list, work a little less (unless you really love it) and play a bit more. Try to remove some of the structure in your days so that the hours can drift like a boat on the waves. The Universe will guide you. Taurus: It’s time to return to home base – focus on domestic matters, enjoy time relaxing at home, or get work done that you’ve been procrastinating. Think of this as an opportunity for completion, when you can wrap things up and prepare to move on. A little contemplation won’t hurt, either, so if you are feeling introspective and are less inclined to dash out into the world, remind those around you that you have permission from the heavens to pause for thought. What you need to guard against, thought, is brooding on the past. A little happy reminiscence is fine, but brooding is a sign that you need to let something go so that you can move on. Gemini: This looks set to be a busy week when things don’t go according to plan. With Mercury retrograde in your zone of travel, transport, and communication, it is advisable to allow more time for journeys, double-check communications and appointments, and try to give yourself a bit more breathing space so that you don’t end the week feeling like a spinning top. Don’t take any problems too seriously and see holdups and glitches as signs that you need to get out of the fast lane. Cancer: You may look on the last week in July as a small interlude of peace in your hectic schedule. However, all the activities that you were putting off are now back with a bang and you’re off at the same pace as the Last Quarter Moon in Taurus on August 4th impacts your world. You will be involved with lots of dedicated hard work, determined effort and equally deep emotional commitment, intense and vibrant love and passion and perhaps even deep sexual encounters. You need to get clear on what your values are and how much you value what you do. It might also be relevant to ascertain whether you attach too much or not enough importance to money because any kind of imbalance is likely to reveal itself now. Leo: Personal hang-ups, worries and hidden or overt complexes will all make their presence felt this week and you’ll have to make an effort to conquer them. Happily, the Sun’s journey through your sign should reignite your positivity, and Mercury’s backward journey (also through your sign) will enable you to assess your life with a view to making positive changes. Take care, however, that you don’t allow over-optimism to lead you to see life unrealistically or to take on more than you can handle. It will be easy to overdo things, so focus on balancing optimism realistically. Virgo: Your inner landscape becomes the point of focus as retrograde Mercury slips through your zone of soul and spirit. Now is the time to focus on your inner well-being; take time to rest and nourish yourself. As the world rushes about its business, you might find solace in slowing down and doing nothing in particular – at least for some of the time. Cultivate quiet moments and anchor through a meditative state of mind, or allow your spirit to speak to you through art, music or poetry – anything that connects you with your imagination. There is very little in your chart right now that leans toward hard work, ambition and busyness, so if you’re caught up in this and feel out of sorts, perhaps your soul is trying to impress on you the need to slow down and take some time out. Libra: This week there is a danger of pursuing a wrong career objective, even being irresponsible in your approach to work. The reason could be some anxiety, neurosis, niggling ailments and feeling out of sorts, all of which could tempt you to make the wrong moves now so it’s time to consider your position in the greater world. A cluster of planets gather in your social and humanitarian zone which might mean you need to consider your role in a group or organization, or you need to decide whether a friendship is worth maintaining. Perhaps you need to determine whether you need to make a larger or smaller difference to society. Mercury retrograde is encouraging you to review these aspects of life and to come to a decision so that you can feel happier about your place in the world. Scorpio: If you’re conscious that somewhere in your life is a bit of a black hole – something that’s sucking up your time or energy or that feels potentially destructive – it might be best to concentrate on other areas of life. Your social life gets a gold star so if the black hole relates to your home and domestic situation, go out and enjoy time with friends. Career-wise, this week is a mixed bag, as Mercury retrograde suggests a lack of progress or problems that need to be resolved, but this is an area that is likely drawing your attention, and there is an indication for some very positive developments. You just need to be patient and make sure that you dot the i’s and cross the t’s. Sagittarius: This is a good time to experience spiritual and intellectual growth but at the same time you will shun the limelight being content to be a back-room individual focusing firmly on career and business without wanting the glory. Your creative pursuits, children and perhaps also love affairs, may have some troubles under the influence of the Last Quarter Moon, but then proceed smoothly, giving you much joy and satisfaction. Capricorn: There will be a lot going on for you this week. On the money scene, there will be new players of ancestral wealth, legacy, inheritance and gains from property. In addition, you will be enjoying a fair amount of social life including good times with children, and plenty of fun and games literally, not figuratively. However, over spending on entertainment or over-enthusiasm in partying could lead to trouble and not only health-wise, so keep your attention on what’s going on and try not to go overboard on anything. 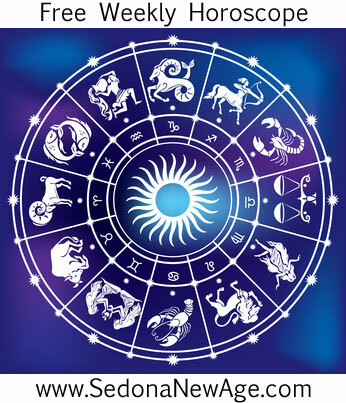 Aquarius: It’s not just love and relationships that you’ll be a whiz at now, but the wheeling-dealing, demanding, yet thrilling, game of big-time business. Power will be your middle name at business meetings, conferences and presentations. In fact, it’s most likely that you’ll be the mover and shaker, the initiator, for new projects/ventures/undertakings/launches. The terrestrial reason: you’ll have funds flowing in for business, and as they say, the man who pays the piper calls the tune! Pisces: Maybe you’ve gained the spiritual strength you’re supposed to exhibit. Whatever the reason, you can now expect all the fun and pleasure, parties, games, functions, publicity, and ceremonies your heart could possibly have hankered for. And ceremonies could include a wedding, even your own if you are still single. Perhaps these are the rewards that the Universe gives you for your good behavior and even better performance over the last few weeks. Sun 01° Taurus 12' 03"
Moon 29° Scorpio 07' 51"
Mercury 05° Aries 38' 01"
Venus 01° Aries 07' 26"
Mars 14° Gemini 03' 02"